The Higher School of Economics in Moscow has joined forces with Yandex and the news agency Interfax to create a reporting mechanism that measures fluctuations in online retail prices. 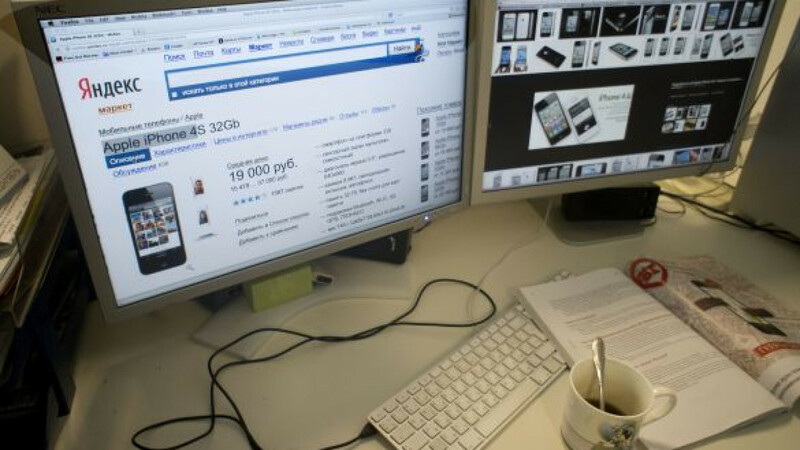 The Internet inflation index system will use information from Yandex.Market, which gathers data on 13,000 e-commerce shops in Russia, including customers’ clicking behavior, the types of products and average weekly prices, Vedomosti reported Wednesday. Price fluctuations related to new products appearing on the market or slow sales of outdated models will not be taken into account. The index will study product sales across the 10 most popular online categories, including mobile phones, computer tablets, laptops, television sets, cameras, fridges, electric cooking appliances, wristwatches, electronic storage devices and washing machines. “The launch of the specialized index makes the [price formation] process more visual and public. In fact, it brings price formation online, making it possible to track price dynamics and forecast consumer demand in any category,” M.video spokesman Anton Panteleyev said. The Internet inflation index so far has differed from retail indices produced by the state statistics service. For example, the new index shows a 2 percent fall in actual prices for cameras since the beginning of the year compared to the 0.79 percent calculated by the state service. The Internet inflation index also differs from the official consumer price index. The first shows consistent growth throughout the year — from one percent in January to 4.5 percent in August, while the latter shows fluctuating numbers from minus 0.71 percent in January, down to minus 3.25 percent in May and up again to minus 1.33 percent in August this year.